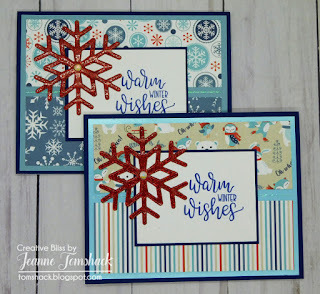 I was invited by my friend, Jeanne Jachna (doesn't she have an awesome first name?) 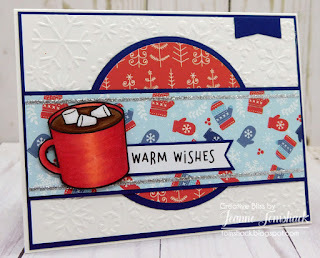 to be a guest designer for The 12 Kits of Occasions Challenge for January, 2019. I was very flattered to be asked and surprised myself by agreeing to participate. 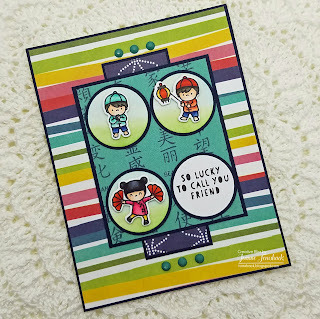 The theme is Good Fortune and I received a lot of fun goodies with an Asian theme. You can see them in the graphic below. The challenge is very low stress and there aren't really many rules. I could create just one card if I wanted or more. I could supplement with my own stash if I wanted. The goal is just to have fun. And I decided not to over think this at all and do just that; have fun. I came up with 4 cards and I still have supplies left to make more if I want. On this one, I colored the images with my Copics and added Distress ink in Mowed Lawn and Tumbled Glass to the punched circles to make it look like the outdoors. I followed sketch #33 from Reverse Confetti. 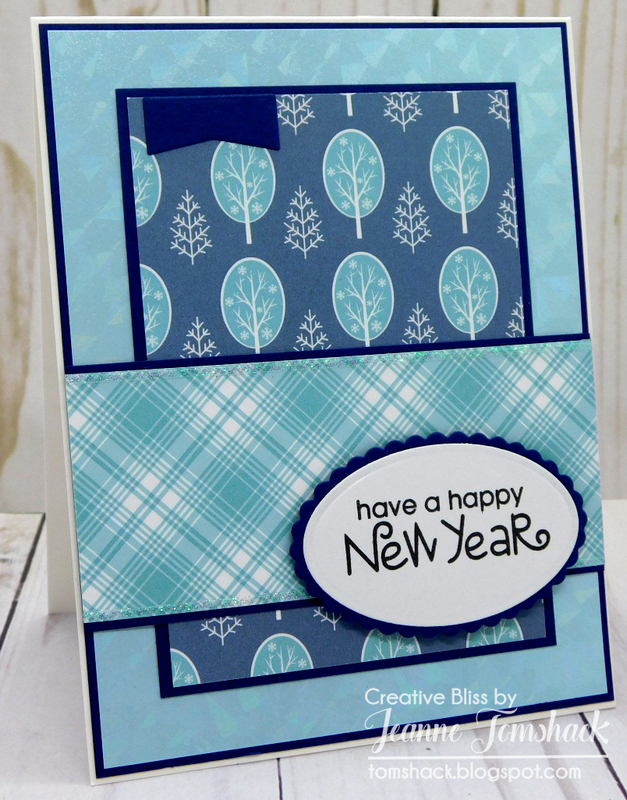 When I saw the blue embossed cardstock and the circular gold die cut, I knew I had to use them together. The animal/dragon(?) 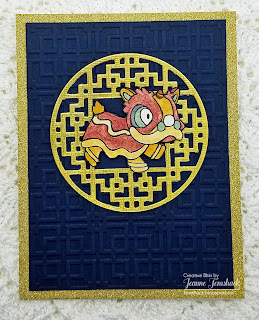 is colored with metallic watercolors from my stash. 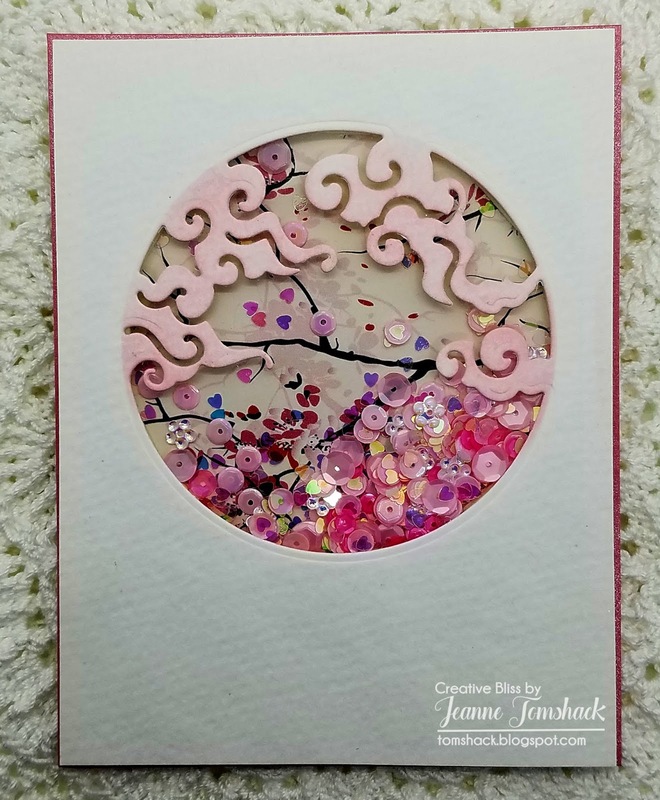 I loved the cherry blossom paper and I couldn't resist making a shaker with the die cut piece included. I added some Spun Sugar to the cloud like shapes. 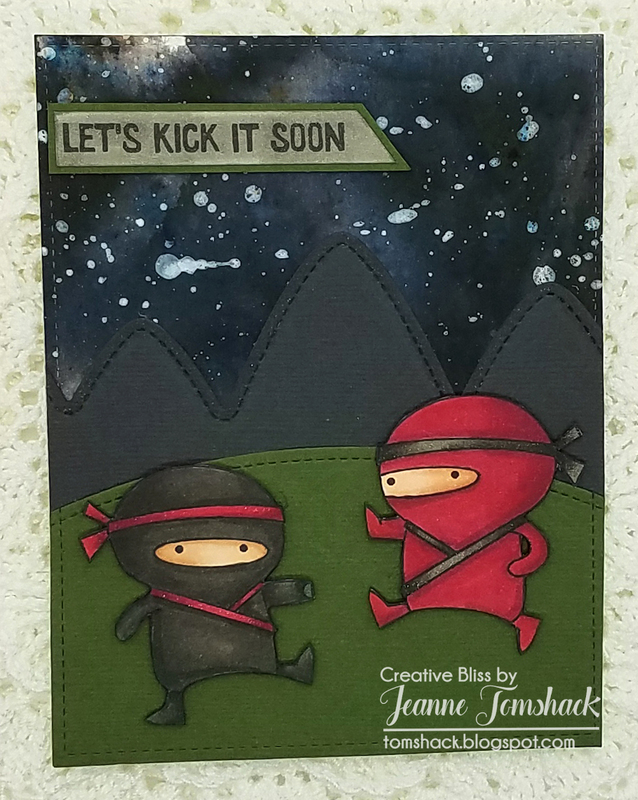 And finally, Jessica really like the little Ninjas, so I had to color them up. I had some fun making an night sky including my poor attempt at adding "stars" with white acrylic paint "splatter." Jessica said some of them look like shooting stars. LOL I'll take it! Anyway, I had fun coloring them with Copics and adding some Wink of Stella to the headbands and trim. The mountains have some Winking, too, but you can't really see it. 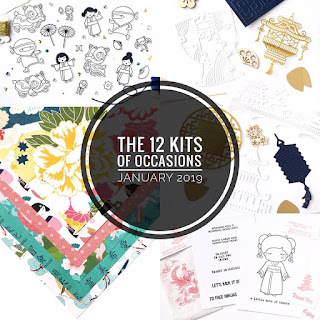 So there you have my efforts at the January 2019 12 Kits of Occasions. Thanks so much, Jeanne for asking me to play along. I hope you enjoyed my creations. 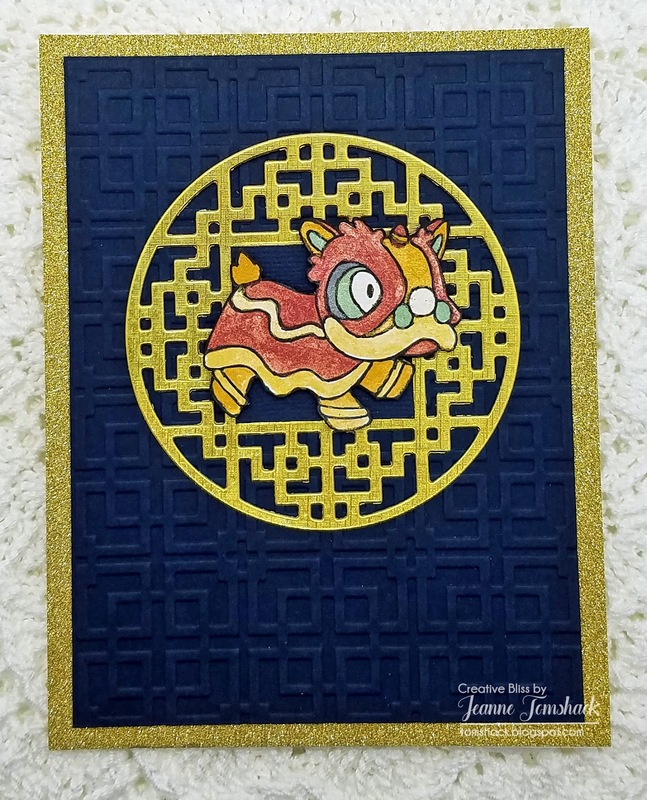 I had a lot of fun making these cards. Thanks so much for stopping by and I hope you have a great day! 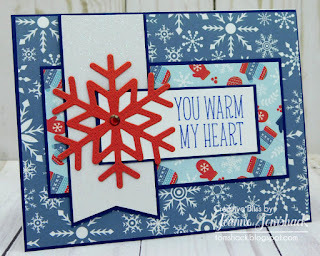 During the Christmas season, I treated myself to a laminator and some Gina K Designs foiling products. The foils I chose where silvery iridescent and looked SO cool when I tried foiling for the first time. I also got a few Minc gold and iridescent foiling papers from the family on Christmas morning. Of course I had to have more colors. Gina K Designs was having a sale at the time on some toner products and I treated myself again to several colors of her foils. I now understand fully when cardmakers say that the foiling looks so much better in person. It's very hard to capture on camera. So, I foiled this panel after I cut the piece down. 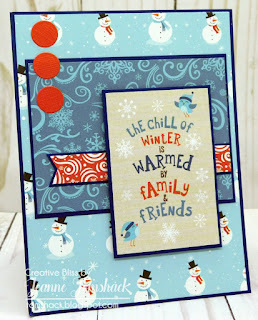 I used a Freshly Made Sketch #361 that Kristie Marcotte used in a recent 6x6 paper pad tutorial. She figures out the measurements (with permission) and shares them in her tutorials. Anyway if you scroll through the cards, there is a pink one where she created diagonal stripes with some Peel Offs. 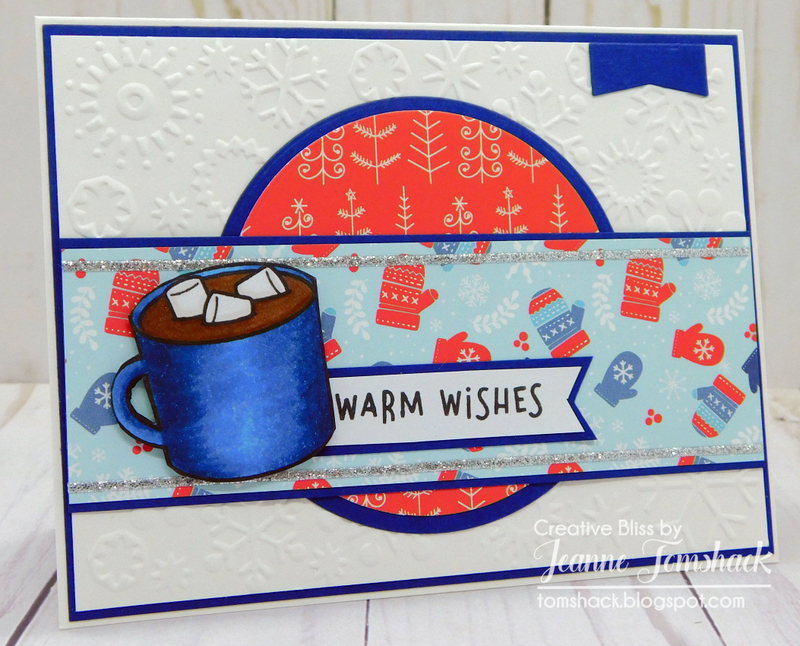 I thought the foiled panels would look great using that sketch. What I didn't count on was it taking forever to find a paper to coordinate well with the foiled panels. Oh my, did I struggle. I think I went through ALL my paper pads that had red or pink pattern papers. I even tried solid cardstocks. But either the colors were off or the white in the panel stood out way too much. Finally I found two, with Jessica helping me decide. And I finished the cards. You guys, this is why I don't venture out on my own too much. It takes me WAY too long to figure out what to use! LOL I mean, it took an hour or more to find these papers. And I was ready to ditch the project, I was getting so frustrated. Just being honest! I'm okay with how they turned out in the end. 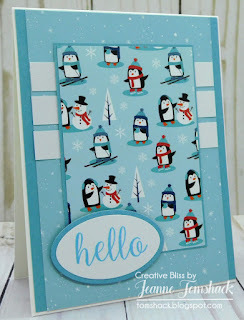 I found the paper in Doodlebug's Sweet Things 6x6 pad. 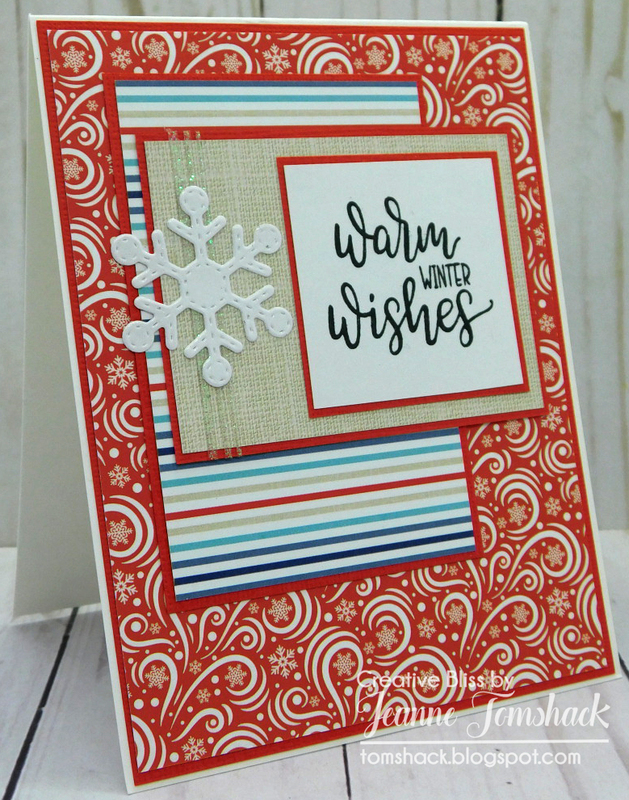 The solid paper in the red card is actually a shimmer paper from DCWV Holiday Jewels Shimmer pad. I found it at Joann last year (2017) at Christmas time. We (Jessica and I) liked the stripes in this pattern paper. 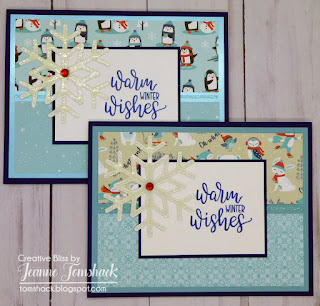 The cardstock is from a Recollections package of pink cardstocks. I used the smallest stitched circle in a Lawn Fawn die set and the sentiment is also from Lawn Fawn, Simply Sentiments. Jessica is holding the card to help me try to capture the foiled look. First of all, I must thank those who responded to my previous post. You all are so kind and encouraging and I really appreciate your wonderful responses. You all are helping me to gain a new perspective. I also appreciate your wonderful comments about the cards I shared. We had one day left of Winter Break and I was able to make the most of it! Both my girls had activities to attend today, so I had time to create. Yes! 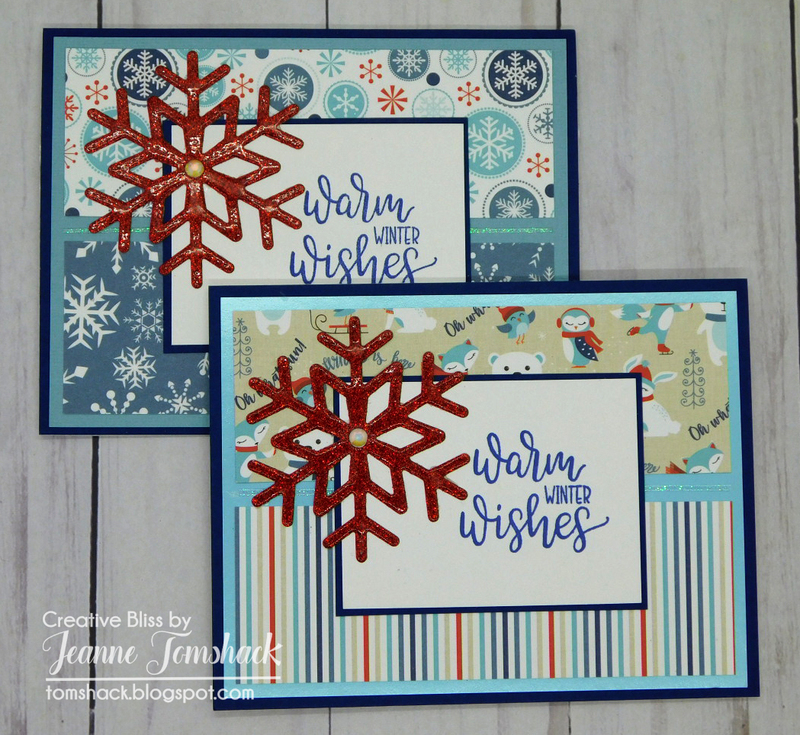 And I was able to make a couple of cards. 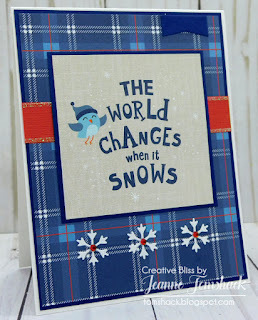 I used stamps from a newer company called Hello Bluebird. They've been around a few years, but I just purchased from them late last year. The images remind me a bit of Lawn Fawn and you all know how much I love Lawn Fawn. 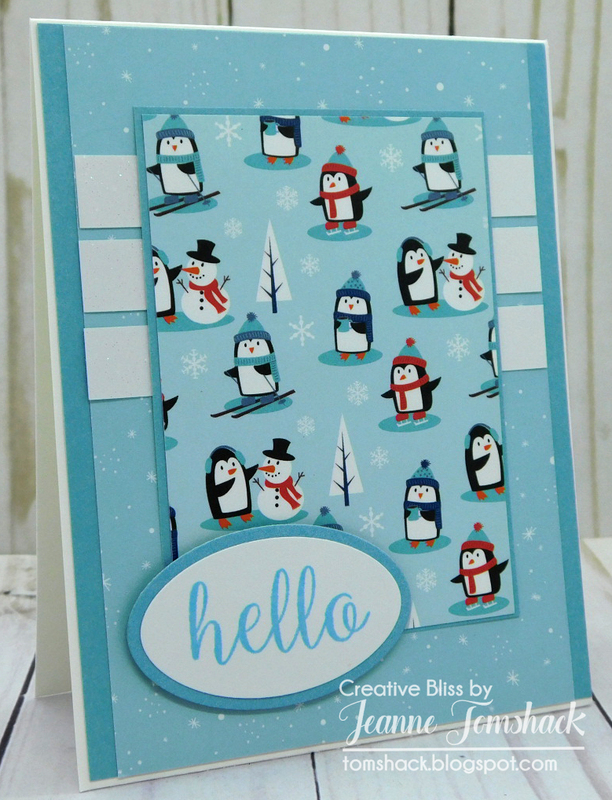 My cards today were inspired by Hello Bluebird design team members Amy K and Gemma. 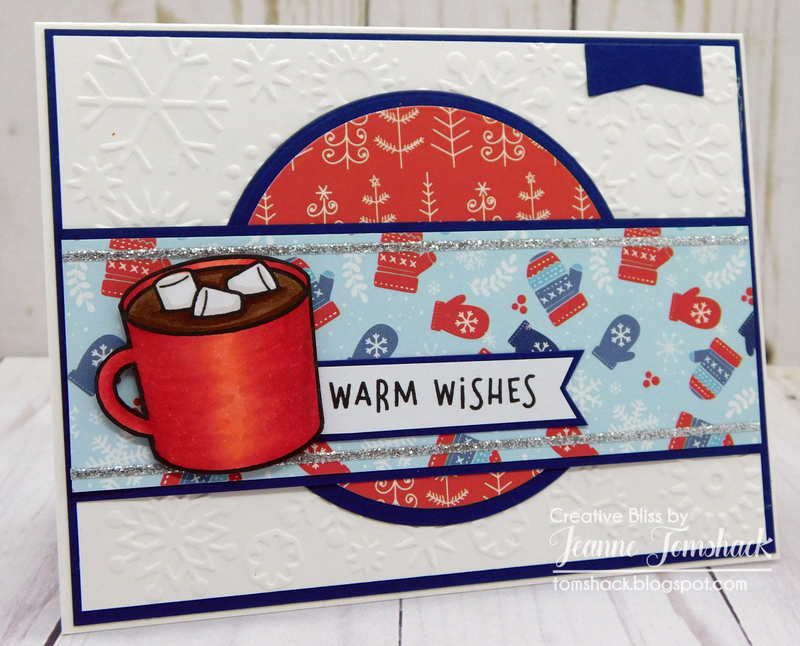 This card got a revamp in that I made it into a shaker card! I built up the frame by cutting several of them and gluing them together. 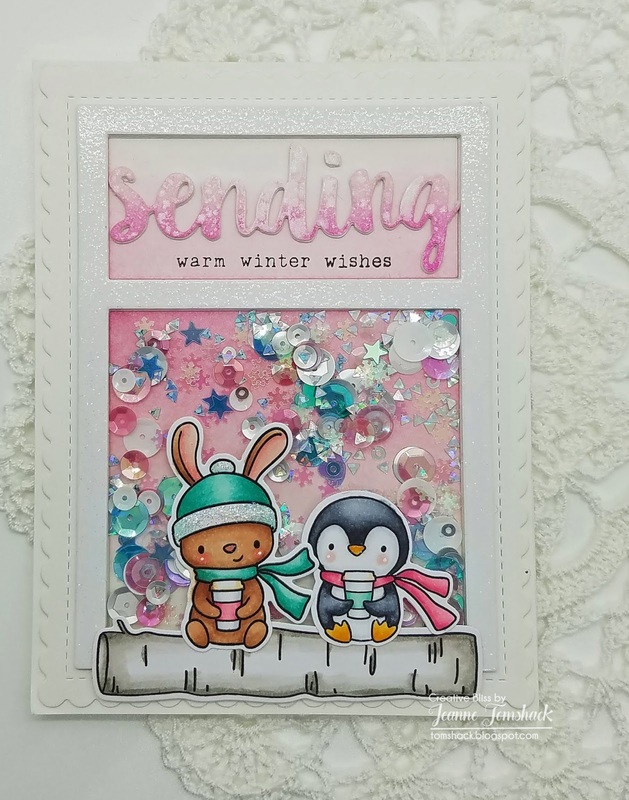 The top frame is cut from glitter paper. 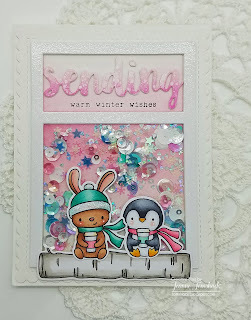 The Sending sentiment is blended with Distress inks and then I spritzed it with some perfect pearls. I also built it up with a couple of layers. The shaker mix is a mix of a few things. 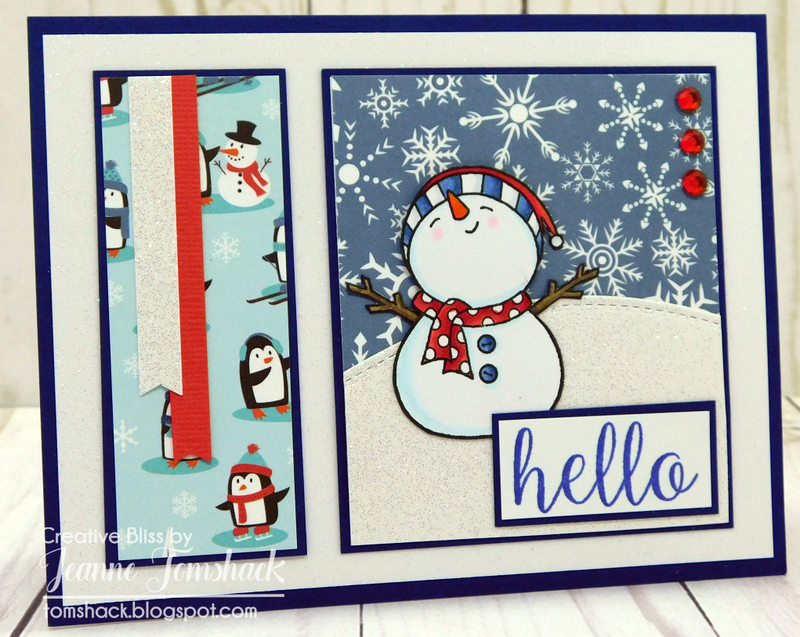 One is a Hey Beautiful sequin mix from Little Things with Lucy's Cards. I added some snowflake sequins I picked up at the Target Dollar Spot as well as some silvery bits I got from Michaels (Recollections brand). The images are colored with Copics. I pretty much followed the idea of Gemma. 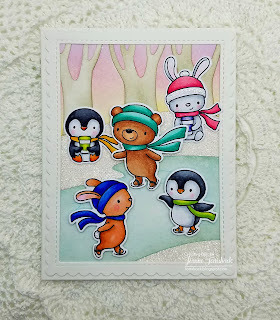 I switched the bunny and the penguin sitting on the snowbank though. 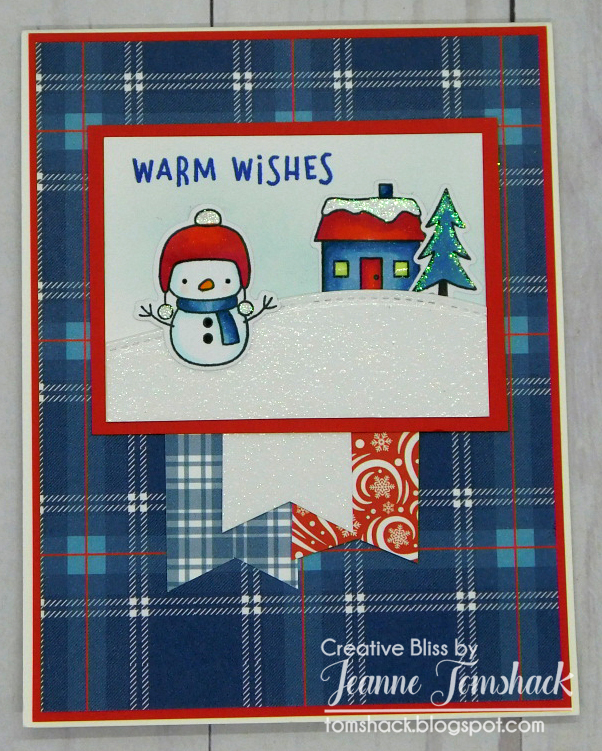 I also cut the snow banks from cardstock, added Score Tape and sprinkled CTMH's Prisma Glitter to make it extra sparkly. 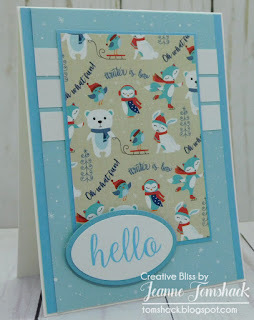 I also added the scallop frame that is from a Hello Bluebird die set called Gallery Frame Die #2. The pond is blended with Tumbled Glass distress ink and I added a bit of Pumice Stone along the banks. Inside is where I put the sentiment as there really isn't room on the outside. Well, it's back to reality tomorrow. 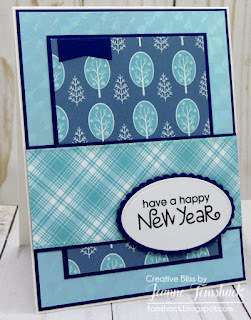 I hope I am able to find more time to create in the new year. 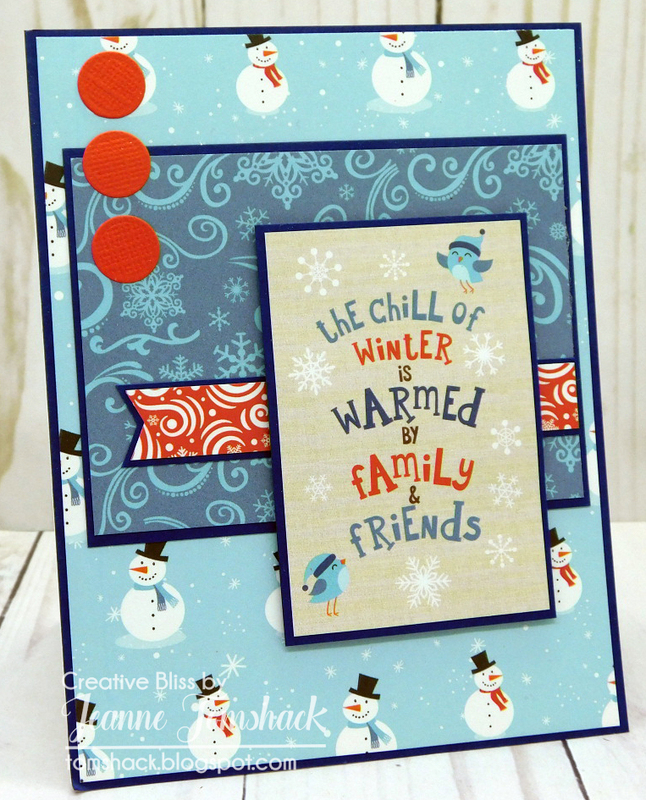 Over my Winter Break from work, I've been working on a set of cards using Echo Park's Celebrate Winter collection. This post is very photo heavy, so grab a cup of your favorite beverage and hopefully enjoy what I have to share. I'm going to be super honest here for a minute. Feel free to continue reading, or jump to the pictures if you prefer. 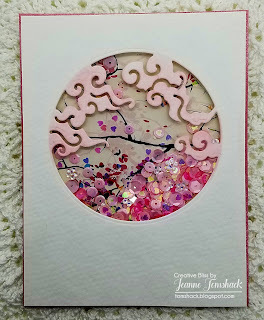 I have long struggled with feeling like all I do is copy other crafters' ideas. And that doing so somehow makes me less than as a crafter. It's that feeling of being less than creative in coming up with my own ideas or designs that has partially kept me from sharing as much on my blog over the past few years. I mean, really, why would people want to see a recreation of someone else's work? Maybe they don't. Maybe I don't need to be sharing my creations. 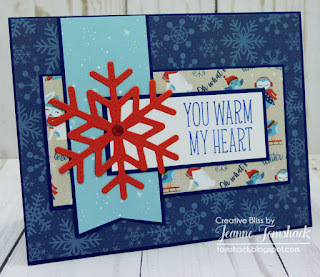 And not too long ago, a very well known cardmaker posted a video that said if you are not a beginner crafter, you shouldn't be copying other people's work. You should be coming up with your own designs. That seemed to validate the struggles I was having and I pretty much quit sharing so much. I let that comment take the joy away from my crafting and sharing. I was still creating, just not sharing all that much. 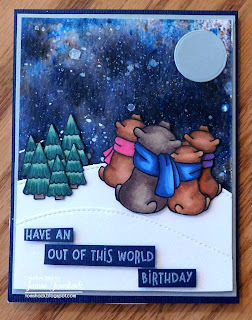 I kept thinking maybe that cardmaker is right and maybe I should be coming up with my own designs, but so far, my attempts at doing so lead me to feelings of frustration and lots of stuff in the trash bin. I'm coming to the realization that with the crafting that I enjoy, I follow patterns. When I crochet, knit or do cross stitch, I follow patterns. 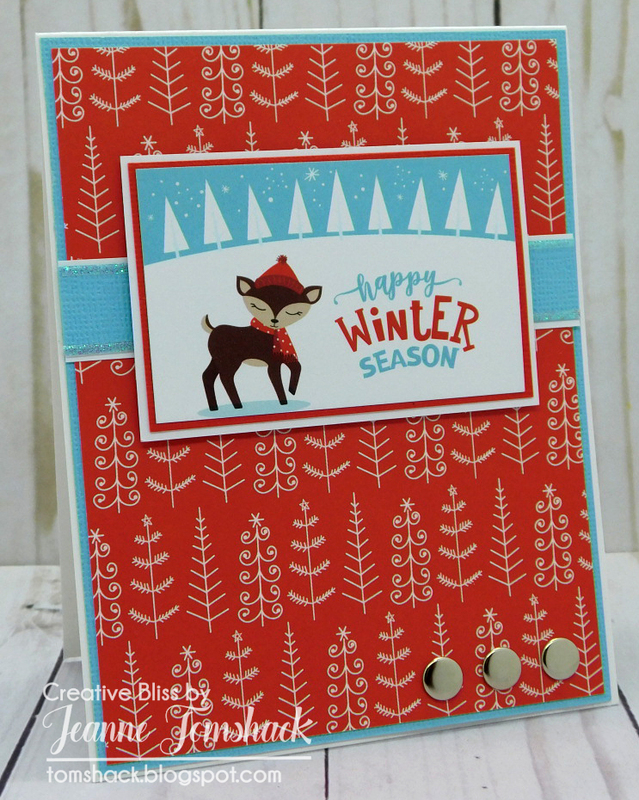 When I used to tole paint and scrapbook, I followed patterns. I made lots of stuff, I maybe tweaked something here or there that I liked better, but I've long been a pattern follower. And so, why should that really be all that different in my cardmaking? I follow patterns. It's how I create. So, I'm going to try to share more once again. If you like it, great, thanks for sticking with me and if it's not your cup of tea, feel free to skip along to the next blog. :) One thing I am going to try to do, is add more of my own tweaks if I can come up with something different. You should know that I always, always credit the person whose work I am inspired by. 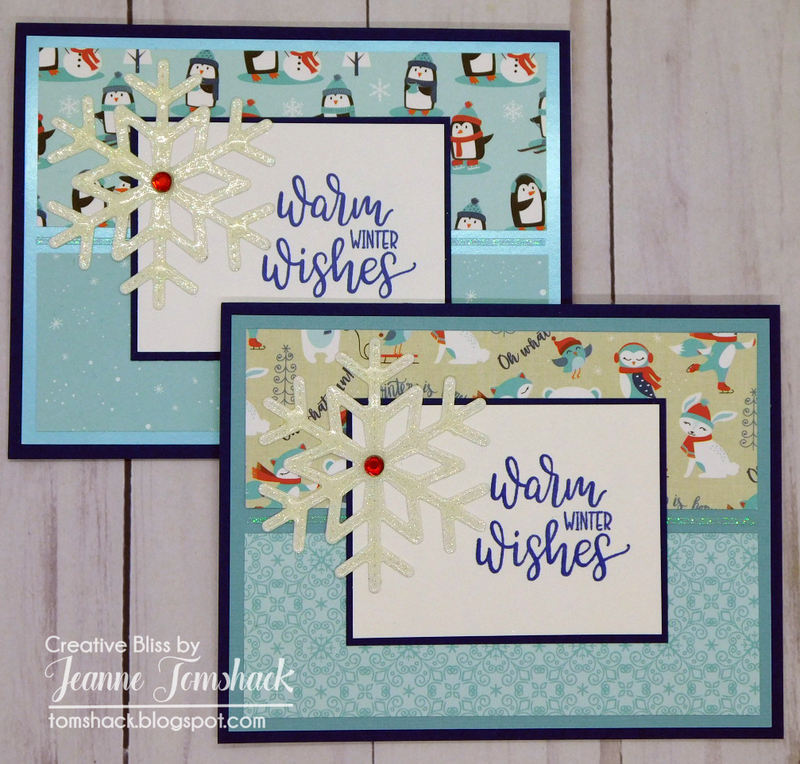 And so, without further ado, here are the cards I came up with following Kristie's tutorial. Some of the colors seem off in the photos, but that is operator error. They coordinate much better in real life, I promise. This post is long enough, so if you have any questions about products I used, please feel free to ask in the comments. You might notice thin strips of glittery tape. Those are Peel Offs and were a generous gift to me from Kristie. She's on Design Team for Love From Lizi, an artist from the UK. These Peel Offs are exclusive to her line. Oh golly, they are fun to use. This snowman makes me smile. It's a Darcie's stamp. This card and the next one are my own takes on the sketch Kristie used. And that's it from me! Thank you so much if you got this far. What a marathon post. Are you shocked? Another post from me? LOL Gotta love when I am on break from work and can work on cards. Don't get too used to seeing me so often. I should be cleaning house, but where is the fun in that? There are cards to be made. But first, had to share this picture. My daughter, Jessica, blows me away with her nail art. She has so many nail polishes I've lost track. She says probably over 100 bottles! She watches You Tube videos and then recreates the look for herself. 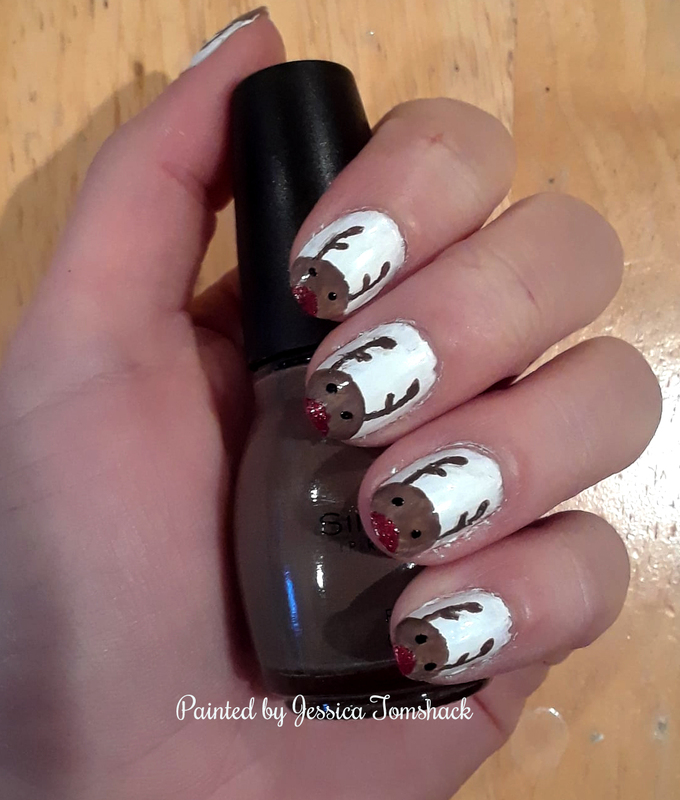 These adorable reindeer are what she did for Christmas. We were at an appointment regarding her wisdom teeth the other day and the doctor stopped, almost mid sentence, to admire her nails. LOL It was too funny, because he said he never notices people's nails. And now, onto my card. Today is my husband's birthday so I had to make him a card. He and Jessica both are quite fascinated with space. And wayyyyy back in October or November I bought a bottle of black Brushos pigment powder thanks to the enabler extraordinaire, Kristie Marcotte. She made a card in October that just mesmerized me(It's card 13, the cauldron). 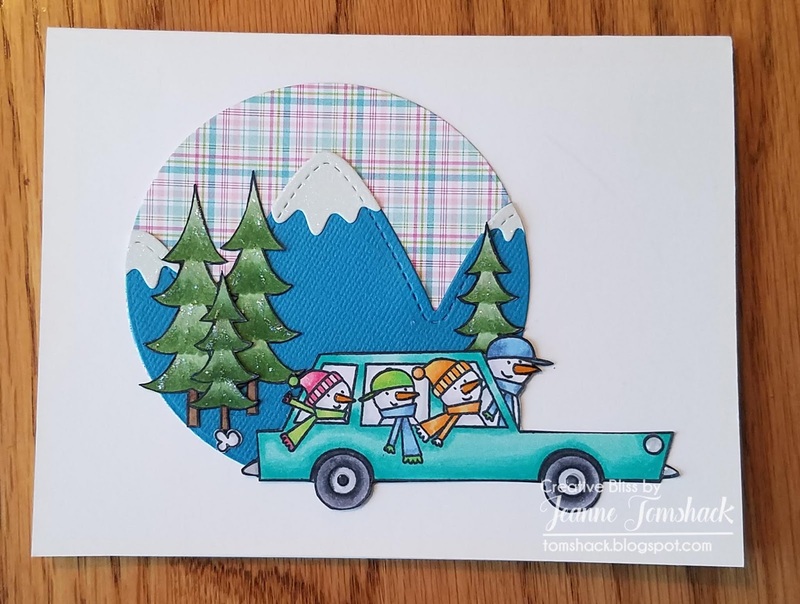 Then she made this card for Christmas that I thought looked so cool(she actually sent that card to me. I'm a lucky duck). I decided to break out the Brushos today to make a fun background. 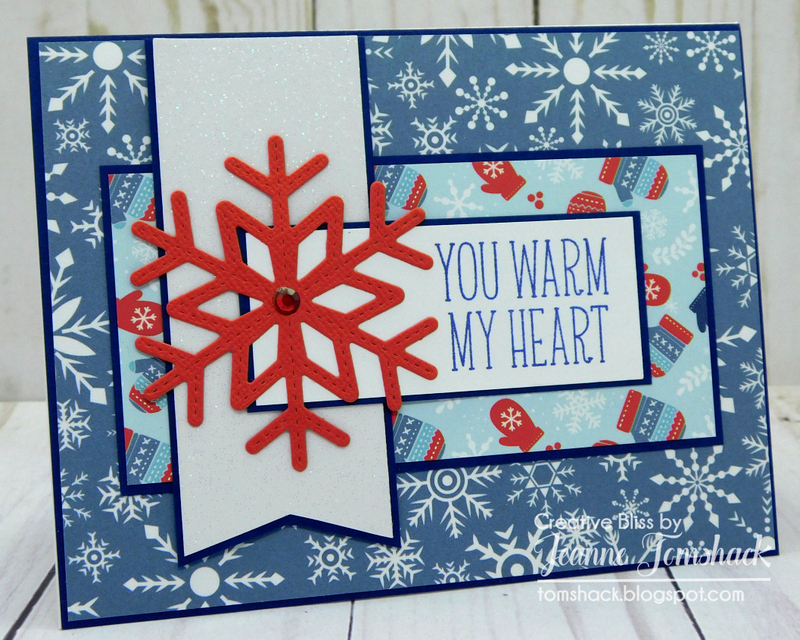 I was inspired by Kristie's card, but put my own spin on it. I used Lawn Fawn's Winter Skies set, but made our whole family colored with Copics. :) The sentiment is from Lawn Fawn's Beam Me Up stamp set. For the background, I used the Black Brushos and then added some Perfect Pearls. I also tried to add some watered down white acrylic paint. Um... I really need more practice with that technique. I quit before I ruined the background. Anyway, the camera didn't pick up on the shimmer in the background or the moon. 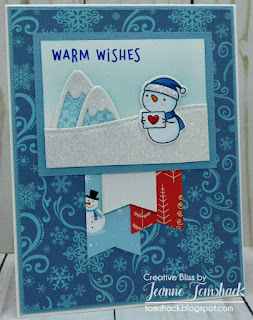 I also used glittered cardstock for some snow. It looks pretty neat in real life. And I've got some black fingertips to show for my efforts. ;) Hope he likes it. And that's it from me today. I hope 2019 will be filled with lots of crafty things for you. I also hope I am able to finagle a way to create and share more this year. I'm going to start out with a bang, I think. I've got a few things to show you. 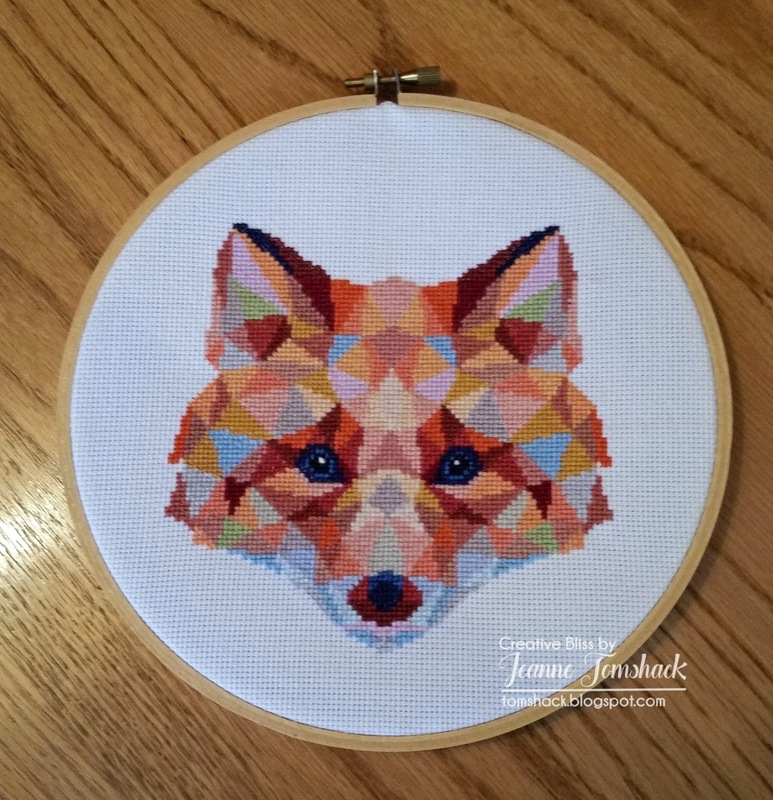 I have a friend who loves foxes and I found a really unique fox pattern that I stitched as a gift for her. I found the pattern on Etsy. It was fun to stitch. 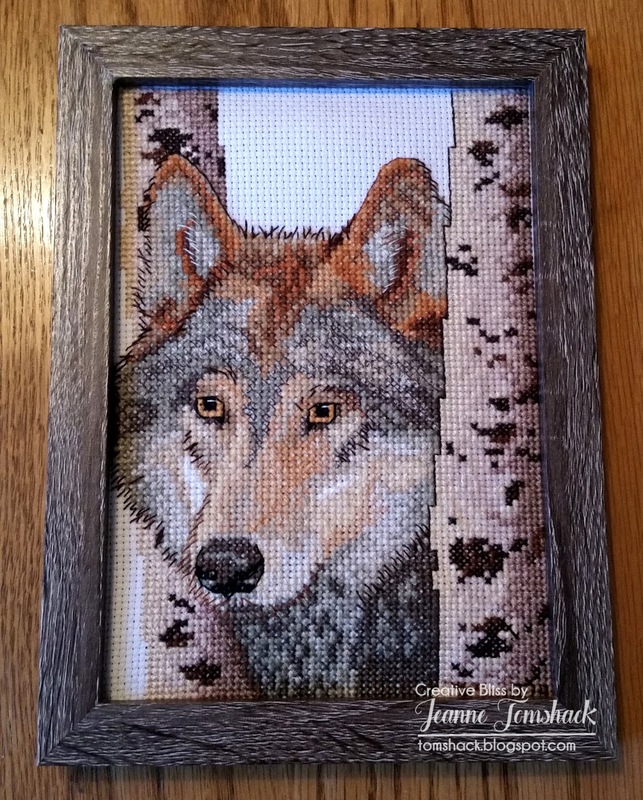 My friend's daughter is a huge fan of wolves. I've looked for years for a good wolf project to make for her. Finally, I found one that I thought she would like. My friend and her daughter seemed to be very happy with their gifts. I know I really enjoyed creating them. I do handwork in the evenings when it is too dark to make cards. 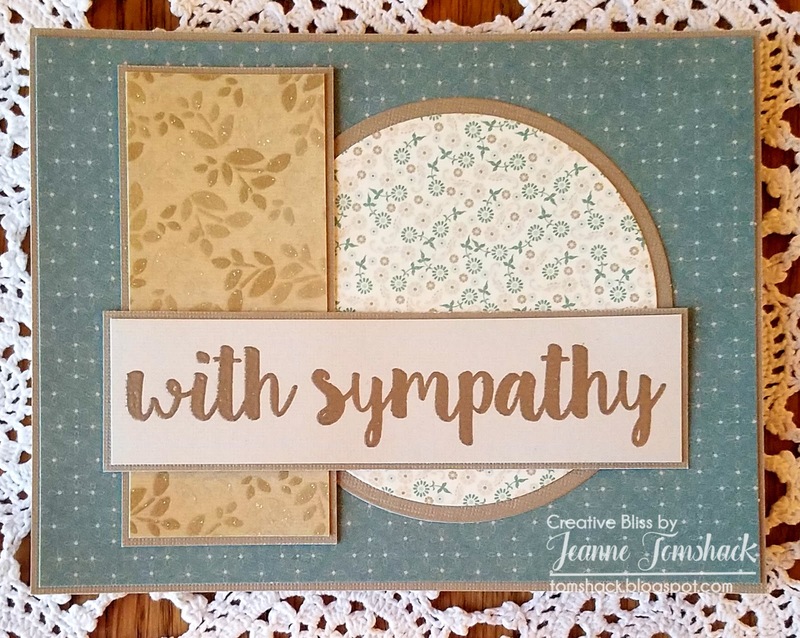 Unfortunately, I had need of a sympathy card this past week. I had a sketch setting out and I used it along with paper from an older DCWV paper pad called Linen Closet. Remember when those were available at Joann's? Love this paper. Thought it was pretty for this card and I do hope it offers some comfort. 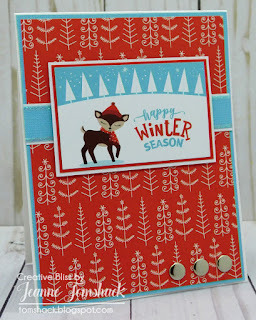 And to end on a bit more of happy note, here's a card I created recently using MFT's Cool Christmas stamp set. 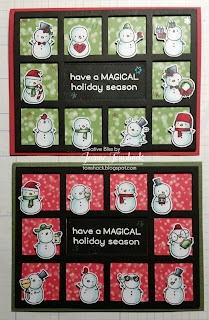 Oh gosh, I bought so many stamp sets for Christmas cards this year and I didn't get to use them! But I used this one for a non Christmas card. I had fun coloring it with Copic markers and sort of futzing with the design. 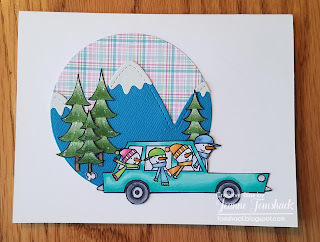 My friend Kay makes really fun scene cards in this vein and that's what inspired me. 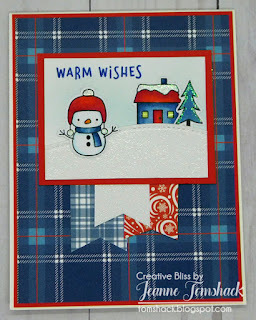 I used MFT's Petite Plaid pattern paper for the background. 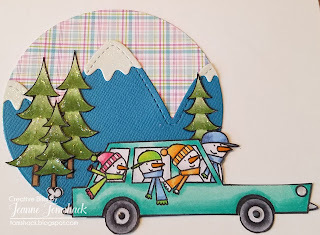 I also used Lawn Fawn's Mountain borders for the mountains. Those snowmen just make me smile. Here's a bit of a close up. These pictures were taken with my phone, so if they are slightly blurry, that is why. Hope you have an awesome start to your new year. Quick Life Update and a Snowmanpalooza! It's been a minute, hasn't it? Life sure has a way of getting in the way of doing some of the things we enjoy in favor of other priorities. I've missed you all though, and sharing. I'll give you a quick update and then get to the cards I want to share. It's been a busy fall season with school being back in session. 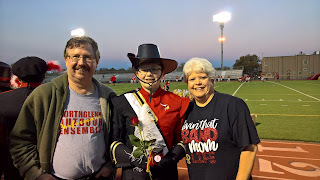 The girls had their marching season, which is always very hectic. 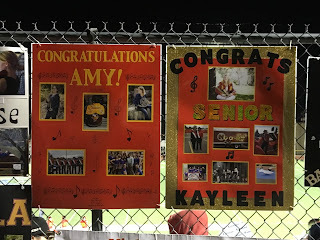 This is Amy's Senior year and I am trying to savor all the "lasts." This is from Senior Night where the seniors who are in the band, on the football team or are cheerleaders and poms honor their parents. It's a nice tradition. Here's her Senior poster. I thought I had designs of a trumpet and treble clef to cut with my Cricut or Cameo, but couldn't find any. So, I used some Casual Fridays stamps instead. Amy loved it and we got lots of compliments on it. 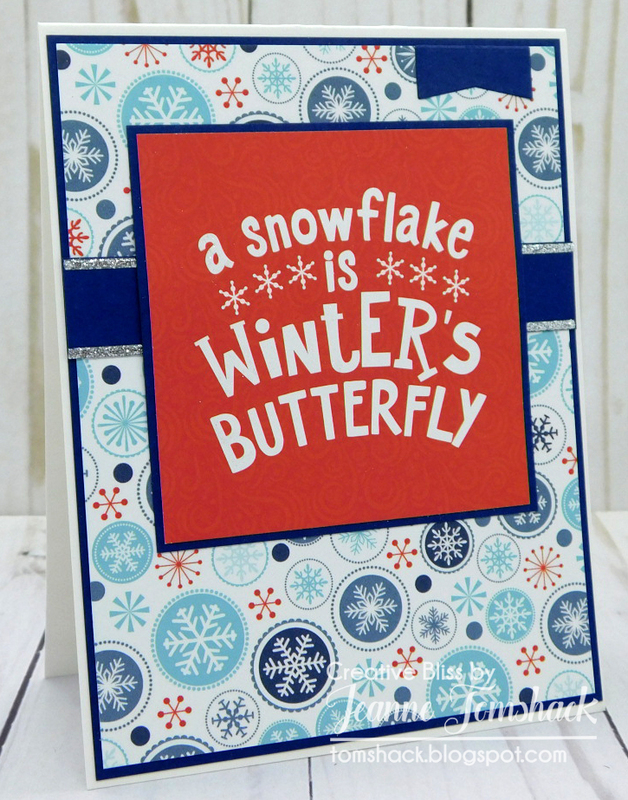 Yay for stamping! And if you will forgive a very proud mama moment, Amy is still in Girl Scouts and is working on earning her Gold Award (the highest award in Girl Scouts). She had to come up with a community service type of project as one of the requirements. She planned a CPR training and first aid class/workshop to be held at her high school. It was open to teachers and students. She held the workshop last week. A local news station interviewed her and filmed the workshop. They aired the piece that night and to our surprise, they started the newscast with her story! Here is a link, if you are interested in watching. As for me, work has been a challenge so far this year. Our school was one of several schools selected for an upcoming audit by the state department of education. Many people from the head office are coming in almost daily and many procedural changes are being made to make sure we are in compliance for the audit. I've never been through one before and it's quite interesting and a bit(okay, a lot) nerve wracking. A couple of more weeks til the audit and hopefully we do well and things will settle down. I have been doing some creating here and there, but not consistently and I miss it. 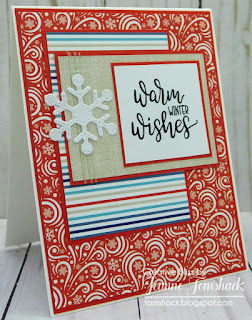 The cards I have to share today were inspired by this card by Christy Gets Crafty. 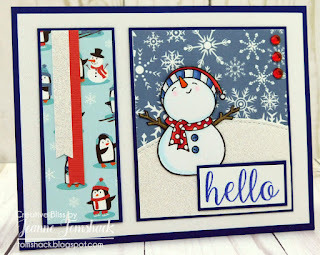 I just loved how she colored the adorable little snowmen in the Mama Elephant Little Snowman Agenda set. 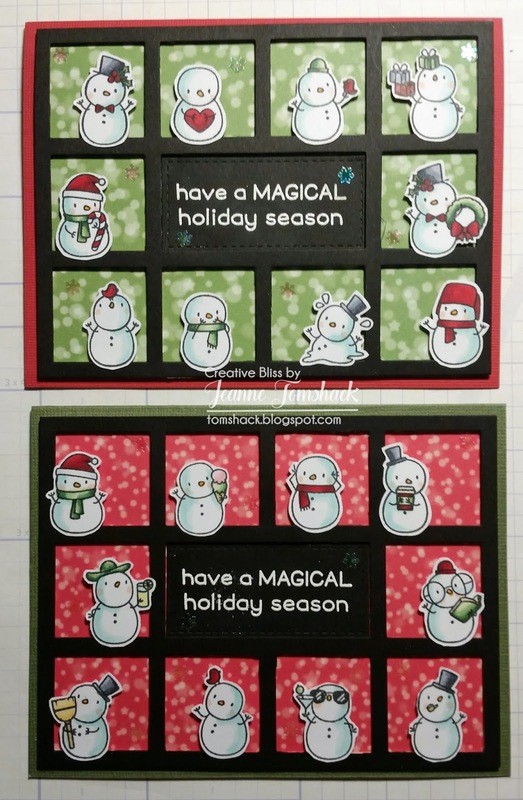 The top card is a copy of her version, but I Copic colored all the images(and fussy cut them out) and used the rest for the second version. 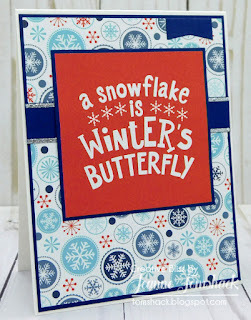 The little iridescent snowflakes are from a little bottle that I found in the Target Dollar Spot a couple of weeks ago. 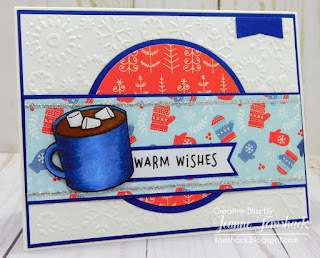 The die with the square openings is from MFT and the sentiment is from Lawn Fawn. I hope you have a lovely holiday season. I also hope to be back before the start of the new year. I am a part-time working mom of two young ladies and married to a very tolerant guy! I enjoy digital scrapping, stamping, thrift store shopping, knitting, crocheting, counted cross stitch, and you can also add read blogs to that (there's so much to discover)! I find inspiration from so many bloggers and am grateful to the creative people who share so freely. If you are inspired to create based on a project I've shared, thank you! Please give credit where it is due. *Ü* Thanks so much for visiting and I hope you'll return soon! Copyright 2017. Designed by Loll Thompson - 2018. Powered by Blogger.